Resistive Technosource offers premium solution for Mobile Application Development; our team of techno-savvy developers develops applications for mobile as per the requirements of the clients. Usage/Application: Manufacturing, Engineering & Construction, Retail, Realtors, etc. In an era of Smartphones, everything is possible with a touch on your phone. 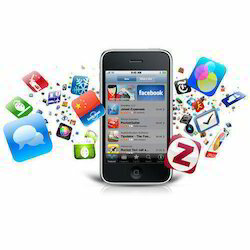 We develop beautiful, yet user friendly, Mobile Apps. We are providing Mobile App Designing Sevices for our valuable customer. 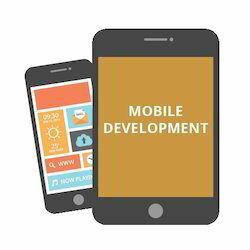 In the event that your business requirements is to construct custom Android, iOS or cross platform web application Alternately responsive site with secure technology We have been building the mobile application and responsive website successfully. Contact us. Mobile application development is the process by which application software is developed for low-power handheld devices , such as personal digital assistants , enterprise digital assistants or mobile phones. Android is a mobile operating system developed by Google, based on the Linux kernel. Android has the largest installed base of all operating systems (OS) of any kind. Android has been the best selling OS on tablets since 2013. A 2015 survey found that 40% of full-time professional developers see Android as their priority target platform.